Sometimes you may want to carry numerous items with you while out and about. A backpack is fantastic for this. It provides space for clothing, stationery, shoes and even a laptop. The straps are comfortable and make it easy to carry. 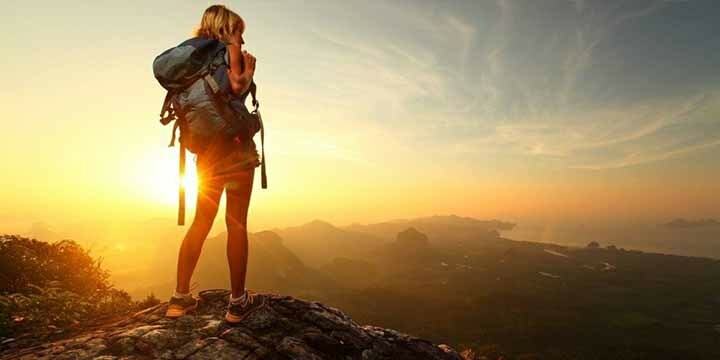 If you are searching for the Best Packable Backpack, here are some great ones to pick from! 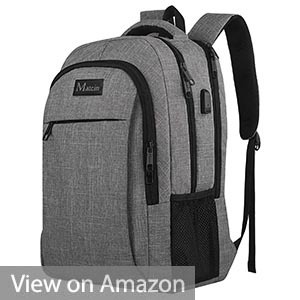 To start us off is this amazing backpack that is one of the bestsellers on the market. It is highly famed for its ability to store widescreen laptops up to 17’’. 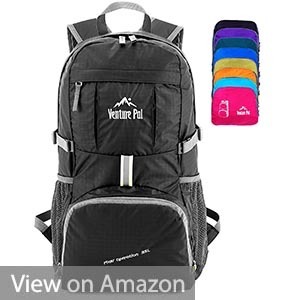 With this lightweight packable backpack, you can be guaranteed that you will have the time to be organized as it has a pen compartment to help you do this. Additionally, there are compartments for your pens and keys as well. With the AmazonBasics backpack, you can say goodbye to annoying delays at your front door while you rummage your bag for the keys. The laptop section is padded to help keep the machine free form any collisions. You can also tag a water bottle to work or school with this backpack as it has a mesh for the same on the sides. 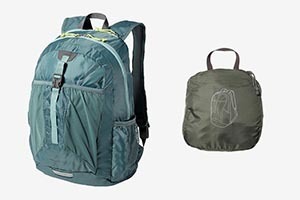 This is a lightweight, packable daypack is one of the most loved in its category. The comfort that comes with carrying the bag even at full capacity is what makes it a favorite, especially amongst students. It has reinforced edges that ensure that you do not feel a tinge of straining when carrying the bag on your back. 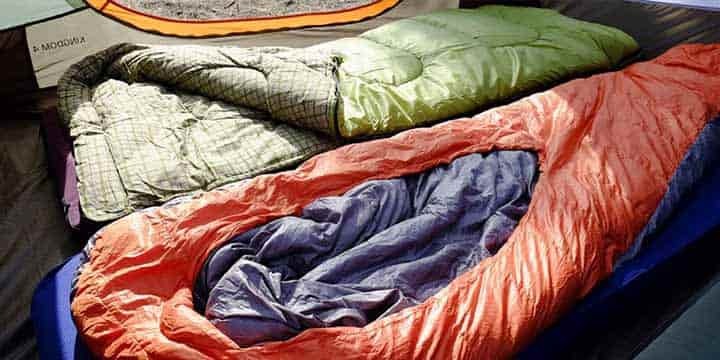 It is made of quality material that ensures that it lasts long and can service you for at least a year after the manufacturer’s warranty is expired. The Kroser Laptop Backpack also has a USB port that allows you to charge your phone from a power bank that you insert inside the bag. It is a multi-compartment packable backpack. This helps you put all your items separate from each other. Additionally, this backpack can accommodate a 15.6″ laptop comfortably. Has a USB port for charging your phone. Can easily be strapped to a trolley while shopping or riding a bike. The power bank and USB cable have to be bought separately. 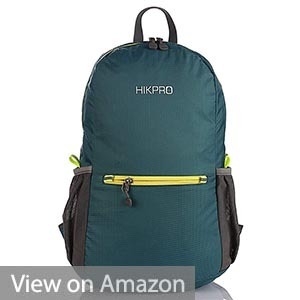 If you are an outdoor person that is looking for a lightweight, packable daypack, the Hikpro is your perfect match. This backpack with breathable mesh straps is comfortable to carry even on the longest and most tedious hikes. It is easily foldable in case you want to pack it up for use later. The tear-resistant quality makes this a durable bag that will serve you for a long time. 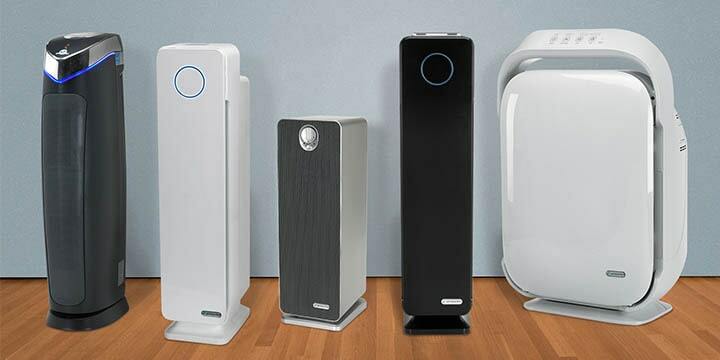 It has a 20L capacity, which provides for huge storage space. Additionally, this bag also has three compartments that have zips to enable you to be more organized when you go for that outdoor adventure. The mesh compartments on either side allow you to pack an umbrella or water bottle to carry along on your trip. Large storage capacity with zipped compartments. Not particularly suited for carrying a laptop. 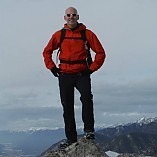 The Outlander is another amazing packable backpack that is suited for the outdoors. It is water resistant and guarantees that your valuables are kept safe from damage by rainwater. It is easily foldable into its own pocket to help you carry it easily if not in use. The process of folding and unfolding it can be done in easy steps that help save on time as well. It has a large storage capacity. Additionally, there are also multiple compartments in the bag to help you organize your stuff much better. This bestseller is loved by many for the sleek design that makes it a fit for both the outdoor adventures as well as going to work or school. Spacious side mesh allows you to pack water bottles to carry throughout the day. Comes with a carabineer clip for attaching to things. Not padded hence not convenient for a laptop. Made with durable anti tear material, this is one of those bags that promise to serve you well for a long time. For an avid hiker, this is the bag that is most suited to you. 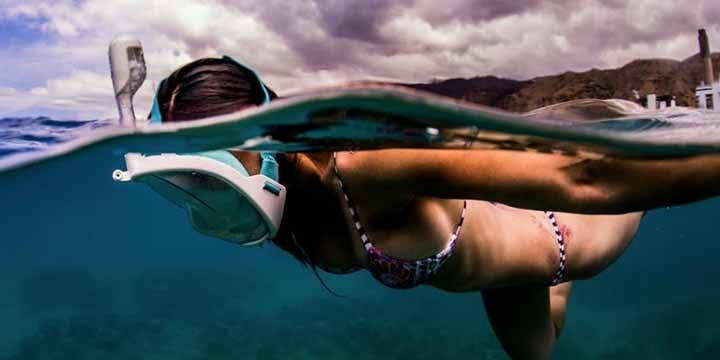 It has breathable mesh straps that enable the user to carry it without feeling any pressure due to what is inside. It is also compact and can easily be folded into one of its pickets for easy portability. It has several compartments for easy organization of what is carried inside it. The large 35 storage room allows you to carry a lot of things, but still maintain the bag’s lightweight feel. It comes in a variety of colors that you can choose from depending on your preference. It is foldable for compactness. It is made of anti-tear material for durability. No padding that would protect a laptop. 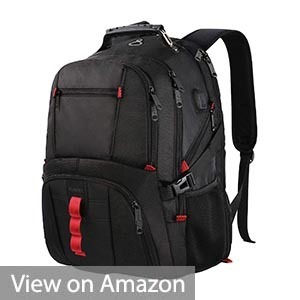 This packable backpack is the best fit for anyone looking for both laptop bag as well as a travel bag. It is a lightweight, packable daypack with an impressive design that will flow effortlessly with anything that you have on. It has an external USB port to enable you to charge your phone on the go. A vital feature that serves well for both students and people who travel regularly. 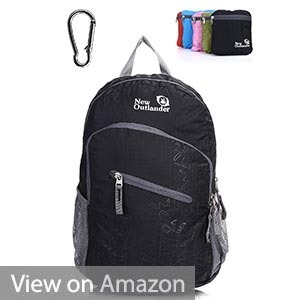 It is a multi compartment backpack that allows you to easily and neatly organize your thing. It is made of quality fabric that is both breathable and comfortable to allow you to carry the backpack without any strain. It also has a hidden antitheft pocket for keeping your valuables safe while traveling. It has an antitheft pocket. 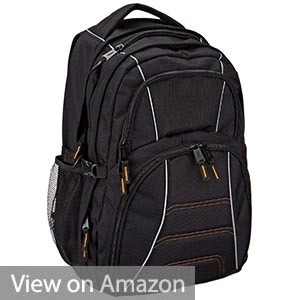 High school and college students can benefit immensely by using this amazing backpack. The JanSport TDN7 Big Student Backpack provides a lot of extra space through its numerous pockets. It has a water bottle pocket and three pockets fastened by zippers in the front. As a result, there is more room for you to pack books, electronics and snacks. The JanSport TDN7 Big Student Backpack is available in 35 different vibrant colors. As such, you are bound to find one which accurately presents your personality. This backpack is designed to be as durable as possible. It has resilient fabrics, straps and zippers. It also has S-shaped, padded shoulder straps. They make this backpack very comfortable to carry. 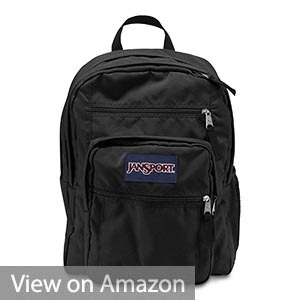 Ever since the beginning in 1967, JanSport has manufactured high quality bags. This characteristic is vividly brought out in the JanSport TDN7 Big Student Backpack. Best of all, there’s a lifetime warranty when you buy this bag. If it breaks, JanSport will repair or replace it at no extra cost! 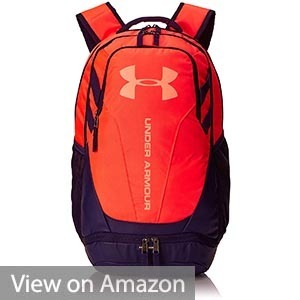 The Under Armour UA Hustle 3.0 Backpack is comfortable, durable and very spacious. It is made of tightly woven pure polyester. As a result, this backpack is very tough. Its bottom panel is also resistant to abrasion. There are numerous pockets throughout this backpack. One of these is a soft-lined laptop sleeve. It has the capacity to hold a 15 inch laptop comfortably. The Under Armour UA Hustle 3.0 Backpack is built using UA Storm Technology. So, it is water resistant. This way, your items are protected from the rain or any errant splashes of water. The Under Armour UA Hustle 3.0 Backpack has shoulder straps that are padded. This provides extra comfort when carrying this backpack. There’s also a gusseted pocket at the bottom of this bag. It provides some valuable extra space. Best of all, this backpack has 2 water bottle pockets on its sides. With this bag, you can stay comfortable and hydrated everywhere you go. 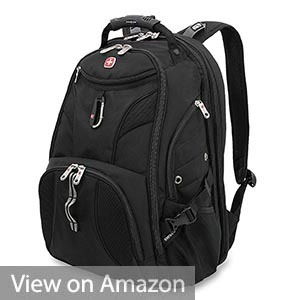 This is a versatile backpack that you can take to work, on a hike or to school. The High Sierra Loop Backpack provides immense space in multiple compartments. They help you to keep all your items well organized while packing this bag. As a matter of fact, there are some dedicated pockets on the interior that can store your phone, tablet and other important items. This bag comes with some side compression straps. They help you to compact the bag after filling it with your stuff. 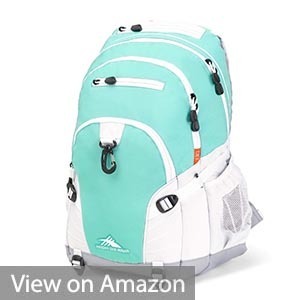 If you enjoy hiking, the High Sierra Loop Backpack is ideal. 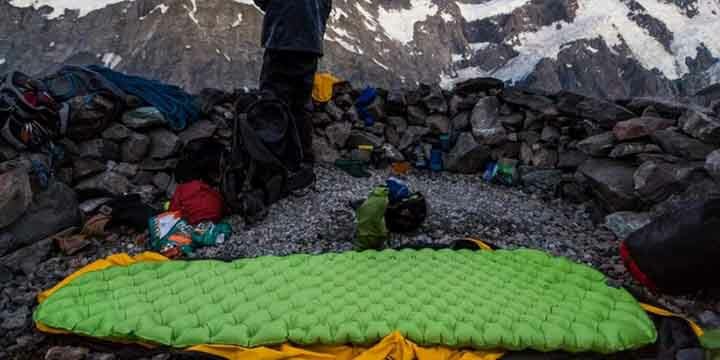 That’s because it has some webbing straps on the bottom which come in handy for carrying along items such as tents or sleeping bags. Also, there are some mesh pockets on its sides in which you can store two water bottles. While carrying the High Sierra Loop Backpack, you can enjoy maximum comfort. This is due to the contoured and padded airmesh shoulder straps. They are even equipped with a special Suspension System which keeps the bag firmly on your shoulders. Available in many colors, the High Sierra Loop Backpack is excellent for modern travel. If you are looking for a highly durable backpack, this is the one. The SwissGear Scansmart Backpack is very tough. It is made using 1200D ballistic polyester. This makes it strong enough to handle the harshest conditions. The backpack lies flat upon your back when you’re carrying it. It also has a separate compartment where you can store a 17 inch laptop comfortably. You can open it up easily at airport security. The bag can also be scanned with minimal hassle by the TSA. This compartment is also compatible with other technological devices such as tablets. On the front panel of the SwissGear Scansmart Backpack, there is an array of organizational pockets. They can hold a variety of items such as your keys, notebook and stationery among others. There’s a unique U-zip pocket on the front too. It provides an excellent spot to store the essentials that you need to access quickly. On the sides of this bag are 2 side compartments. They are breathable and ideal for holding items such as a water bottle or umbrella. The shoulder straps are contoured and padded. Best of all, the SwissGear Scansmart Backpack has a back panel which is fitted with Airflow ventilation. This maximizes your comfort while carrying this bag. The Yorepek Extra Large Backpack provides a cavernous interior where you can store a lot of items. It has more than 20 independent compartments, pockets and slots. They provide room to store stationery, your smartphone, books, clothing and a laptop too. Interestingly, the laptop compartment has adjustable straps. They make it possible for you to store laptops of various sizes. This backpack has a mesh side pocket for your water bottles. All these are secured safely by the bag’s resilient material. The exterior section of the Yorepek Extra Large Backpack is made of superior polyester. On the interior, there is high density nylon. These materials make the backpack fully water resistant. This backpack is highly versatile. It is ideal for traveling, hiking, school and day to day usage. The laptop compartment is very easily accessible. That’s because the bag is designed to be checkpoint friendly. The bag itself can go through a TSA scan with minimal hassle. With these features, the Yorepek Extra Large Backpack is designed for maximum convenience. As a matter of fact, it has an external USB port with a built in USB charging cable. 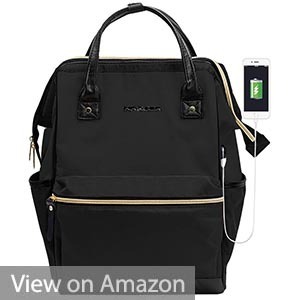 This allows you to connect a power bank and charge your devices on the go without having to open up the backpack! A backpack comes in very handy for carrying your stuff with minimal hassle. It can be used to haul items when hiking, traveling or simply around school. The backpacks reviewed above are excellent for these purposes. They are the best packable backpacks you can get today!